(8 AM - noon) to check on availability and make your request. The Administrative Assistant will contact the Head Trustee and inform them of the type of function, date, and other necessary information. The Head trustee will give approval for the Building Use. Appropriate Building Use documents will be signed, and a key will be provided to the person making the request. Arrangements will be made for payment of any fees due. Generally fees should be paid, prior to the event. Smoking is NOT permitted in the building, or anywhere on the Church property. The use of alcoholic beverages or non-prescription or recreational drugs on Church property is forbidden. Profanity and obscene talk is not appropriate and should not be used on Church property. No open flames are permitted. If candles are used, they should be in containers. Helium Balloons should not be used in the Building. Tape or thumbtacks should not be used on Church furniture or woodwork. Church property is not to be removed from the building for any reason. Rooms that are used should be left as they are found. Furniture should be returned to the places they were found. Folding Tables should be wiped off and put away after use. Any thermostats that are changed should be returned to their original setting. Lights should be turned off when finished. Windows should be closed and doors locked when finished. The use of the Kitchen must be approved by the Trustees. Any kitchen equipment that is used should be cleaned and returned to the appropriate place. All trash should be placed in the dumpster in the upper parking lot. Any use of audio/visual equipment must be approved prior to the event. Arrangements should be made for an A/V technician to be present when that equipment is being used. Children should be supervised at all times when using the building. Children are not permitted in rooms that have not been approved for use. The user agrees to indemnify and hold Germantown Church of God harmless from any and all liability, including attorney’s fees arising out of the use of Germantown Church of God facilities. The user understands that it is the user’s responsibility to obtain liability and property insurance. 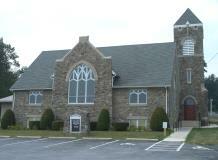 It is not the responsibility of Germantown Church of God to insure the user’s use of the facilities. The user agrees to abide by and obey all laws, ordinances and regulations promulgated by any government unit having jurisdiction in Germantown Church of God’s locale. The user will not engage in any activities in violation of such laws, ordinances, rules and regulations. We believe that marriage is a Biblical institution established by God. It is clearly described in the Bible (Genesis 2:20-25; Matthew 19:4-6). The Germantown Church of God recognizes that marriage is the uniting of one natural born man and one natural born woman in covenant commitment. Accordingly, the pastors and staff of Germantown Church of God will only officiate marriages between one natural born man and one natural born woman. The buildings and grounds of Germantown Church of God will only be used for marriage ceremonies or wedding receptions of marriages between one natural born man and one natural born woman. 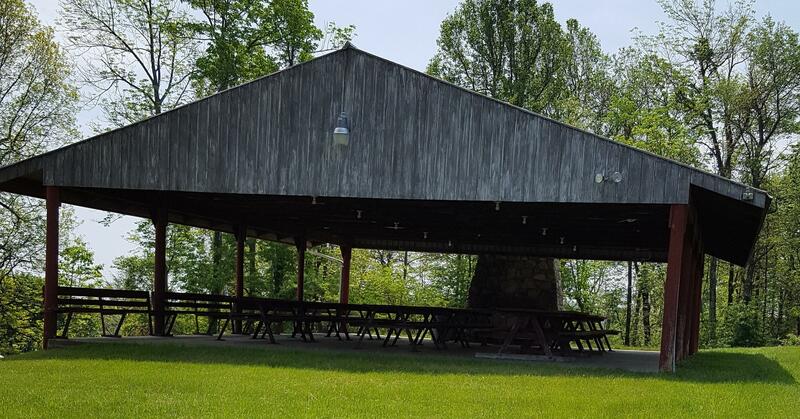 Reservations for the Building or Outdoor Pavilion for Wedding Ceremonies or Wedding Receptions shall be made through the Administrative Assistant. The Administrative Assistant will contact the Pastor regarding the request. The Pastor shall give approval for the use of the Building for a Wedding (whether the pastor will be performing the ceremony or not). 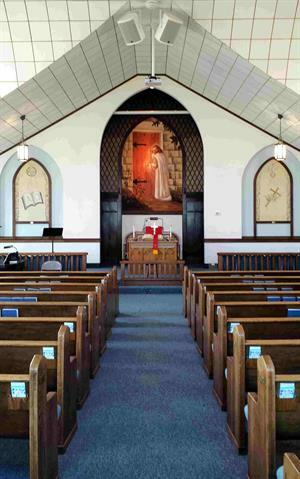 The pastor may choose to meet with the couple before granting approval for the use of the building for a wedding. The couple shall undergo a program of Pre-Marriage Counseling prior to the wedding. Wedding music should contribute to the Worship aspect of a wedding ceremony. Appropriate selections should be used. We recommend the services of our Church organist. In the event that the couple desires to use another individual to provide music for the ceremony, that individual should arrange to meet with our Organist for instruction about the use of the Church’s musical instruments. If the couple desires for another pastor to conduct the ceremony, that pastor should meet with our pastor prior to the ceremony. The use of birdseed, rice or confetti is not permitted. The Marriage License: A reminder that the Church property is located in FREDERICK County, Maryland. The marriage license will need to be secured from the Frederick County Courthouse. As a Courtesy, if the pastor and or organist and their spouses are expected to attend the wedding, or reception, they should be given an invitation to do so. Rooms should be left in same condition as found and trash removed to the dumpster. Download pdf form and send to the church office with check(s).